Giving voice to those who can’t speak for themselves, “Fair to Horses” is a growing network, made up of people whose goal is to make the world a more horse friendly place! “Our organization is taking a stand for equitable riding and training conditions as well as the adequate housing of horses. We certainly do accept equitation as such but want to see the horses be treated fair and as partners… As athletes really. style,” says spokesperson Claudia Sanders. Founded in 2009 with their first petition against drug use in equitation, the group have gone on to tackle many highly controversial and widely publicized issues, and have gathered much support from the equestrian community along the way. 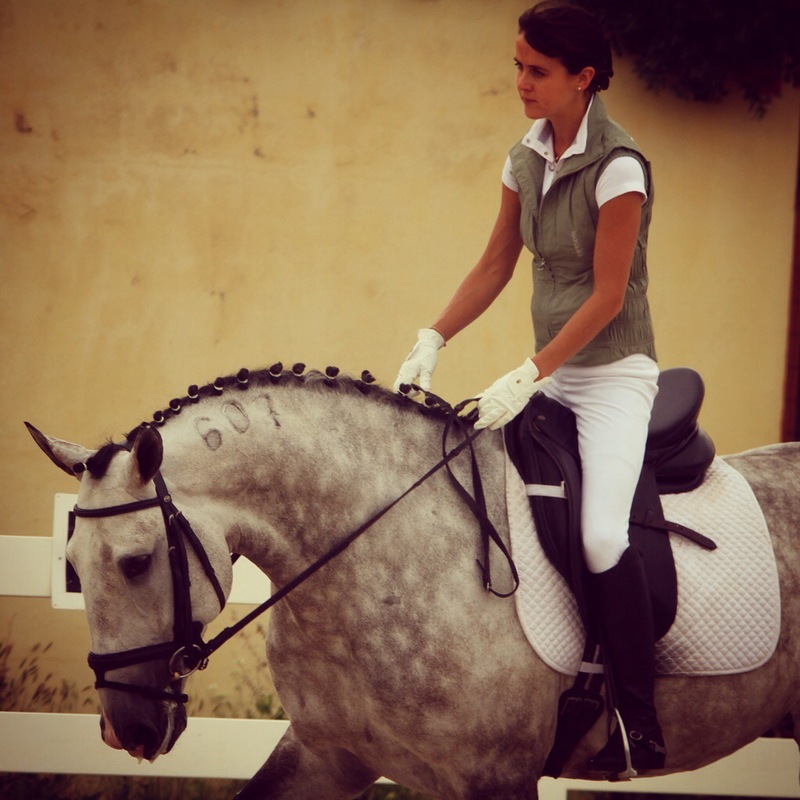 “The network itself is a mix of both amateurs and equestrians with a more professional background. Therefore, our daily routine in the network is to have topics such as housing, feeding etc, picked up and discussed in our forums. Currently in a battle against the use of the highly publicized ROLL KUR in dressage training, Fair to Horses is determined to made a difference in the lives of the animals we love! Do we as an organisation have the power to ban Roll Kur …. Certainly not! TO achieve this goal without singling out a particular rider, the organization has begun a silent campaign, that will hopefully be loud enough to get the RIGHT people’s attention. “Rollkur / LDR / Hyperflexion” etc. are heavily in use these days and we just want to have them banned across the board. To publicise our position, we have prompted the “Stand up!” campaign to go alongside our petition. With 4000 signatures already on the petition, Susan says she hopes the number will grow quickly, and knows that this support can really help to make a difference! It CAN make difference and it can make a change -especially in this case. Horses HAVE no voice so we can’t let them suffer in silence. signatures and as a result, LDR had been limited to 10 minutes during warm up. Back THEN this was something of a success, But we realise TODAY a rather bad deal. However although the use of Roll Kur has been restricted, the organization, and the many who have signed on, feel that even ten minutes, is ten minutes TOO MUCH! “It all gets too complicated when the lines get blurred! give you an example: the proposed “Blood Rule” suggested to allow a horse displaying blood to resume a dressage test – after a vet had briefly stated an only minor wound. We know from the feedback of officials we had been in touch with that this might have exposed judges and vets to extreme pressure. Can you really diagnose a minor wound and no pain in a few minutes? condemn it, might feel urged to do the same. And what about the stewards? Today, 10 minutes of LDR during warm up is accepted. So do they prepare to caution a rider in minute 11? Or has it only been 9 minutes? Currently aiming to gather as many signatures as possible, Fair to Horses is also continually searching for other ways to help protect and improve the lives of our horses. our other goals through petitions such as the current one. We leave the boundaries of our home network and gain further interest in Facebook groups. Any petition we run is only working if there is worldwide attention. And the FB groups are great tools to motivate people – even outside “Fair to Horses” – to design and send emails and letters to riders, officials, sponsors, businesses etc. and basically just everybody interested in equitation in order to get as many signatures and as much support as possible. It really becomes viral, so to speak. unnecessary exposure of horses to pain and suffering we want to stop. Especially when dressage is commonly understood to portray an image of elegance, beauty and unity between horse and rider to an audience of sometimes millions. And the goal for the long term? “To make life a little bit easier and a lot happier for the creatures we love so much, and in fact owe so much.